The awards banquet will honor its top area high school athletes and coaches. Smith will address the audience for nearly an hour, including a question and answer period. The event is open to the public with individual tickets available for $50.00. 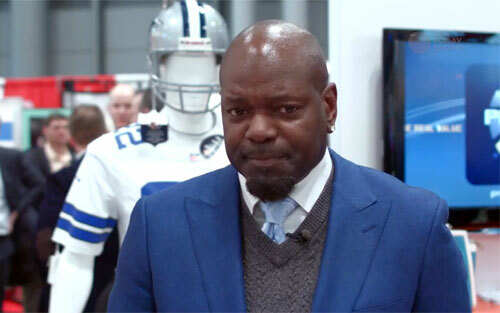 Emmitt Smith is a three time Super Bowl champ with the Dallas Cowboys and former University of Florida star. He is considered to be one of the greatest running backs in NFL history. Smith played college football for the University of Florida, where he was an All-American. A first-round pick in the 1990 NFL Draft, he played professionally for the Dallas Cowboys and Arizona Cardinals of the NFL. Smith was elected to the Pro Football Hall of Fame in 2010, in his first year of eligibility. Sports Speakers 360 is a booking agent for pro athletes. If you would like to book Emmitt Smith for a speaking engagement, appearance or endorsement, contact an Emmitt Smith booking agent for fees at 1.855.303.5450.